Very sad, Dan, and I’m sorry for your loss. Horses are beautiful, wonderful creatures that make life better for mere humans. 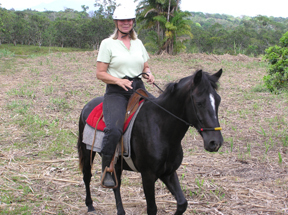 The heartbreak of losing one,much less,three horses is vertually,unbearable. I never heard of this disease,maybe your area needs a severe tick spraying,but,I guess,wherever you ride,you could get a tick. Horrible problem,must be the area you live in. I am terribly sorry about your huge losses. 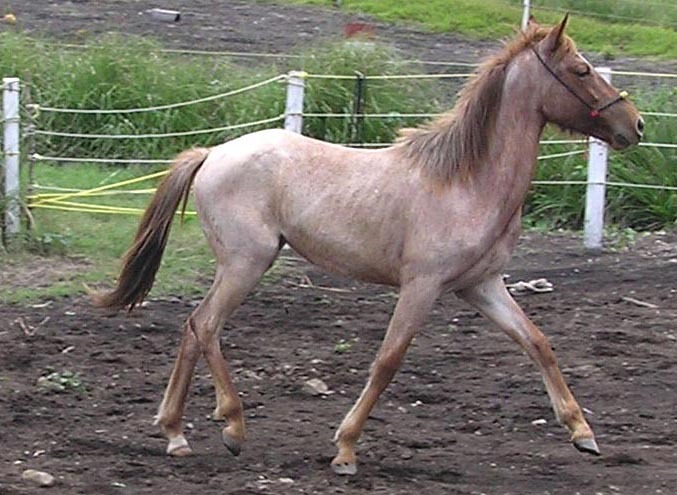 Question,Dan,why did your horses appear so thin? Is that a symptom of their disease? Oh well,I always like a fat horse,so I think my that’s why my husband says I fatten up everything,cats,dogs,horses,him. I hate to see thin animals. Although,Pasos are a thinner,more athletic,breed,yours seemed very thin. I know you and your wife are devestated,maybe it’s time to move to a more horse-friendly region? Again,I am very sorry and I feel your pain,believe me,you guys will never fully get over these losses. A true tradgedy,and a hole in your hearts,forever. Piroplasmosis is rare in the United States, with the exception of some southern areas. 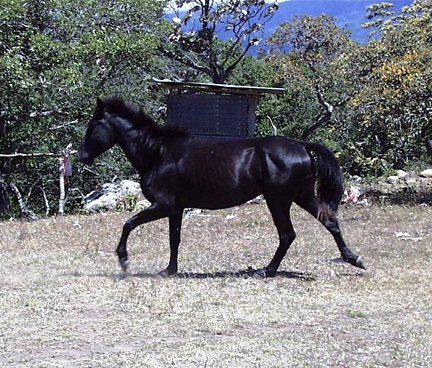 It is more common in tropical areas, but since we live up in the mountains at 3,200 feet AMSL, where temperatures rarely go about 80 degrees F., it is uncommon here; more cows than horses seem to get it. Our horses are frequently bathed in the anti-tick, etc. 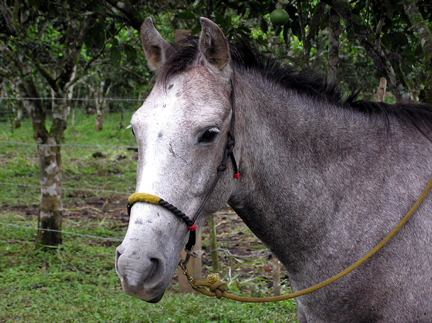 solution recommended by our vet, whom we and many others regard as the best horse vet available in the area. Aside from being more alert to early signs — a horse being even slightly off his feed seems to be the earliest — and promptly administering 10 cc of Imidocarb-LH in two intramuscular injections about an hour apart, I don’t know what else to do. Our vet has suggested about six pounds of grain daily, three in the morning and three in the evening. Our pastures also have grass of the most nutritious type grown here and our horses can graze in our pastures constantly, not being confined to stalls. Our grass is quite plentiful after more than six months of much rain. Even during the coming “summer” or dry season, it should remain very plentiful because, unlike most other nearby areas, we get little wind to dry it. Once again let me express my sorry for your loss. It’s been a bad year for you and your four legged friends. I’m very attached to my animals and can relate to how you feel. The tropical climate of Panama is no doubt responsible for the high mortality rate among your animals. I’m located in an area where both tick and snake bites take a substantial toll on domestic animals. I would think that the rate would be much higher in your area. I’ve found that Sevan Dust #5 is really effective for flea and tick control. Snakes of course present more of a problem. A good 12gauge is a step in the right direction but not a real solution.